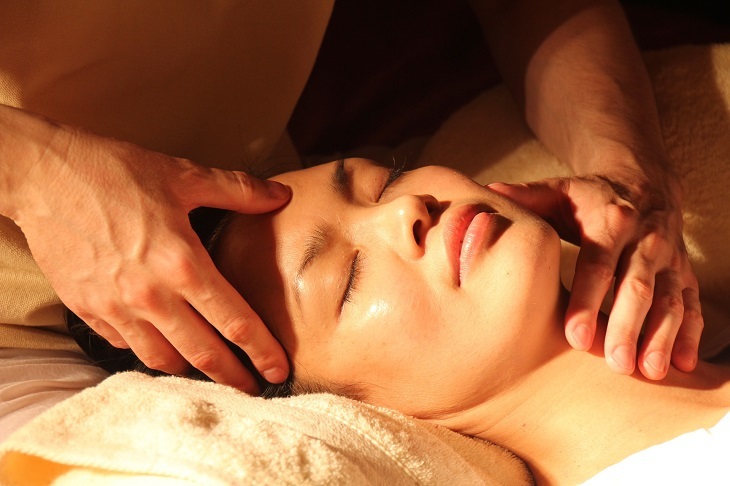 What Are the Multiple Benefits of Skin, Head and Body Massage? There are multiple therapeutic benefits of a skin, head and body massage. At times, you see people flocking to parlors, massage centers and therapeutic organizations to get the massage done in the right manner. This enhances the level of blood circulation in their entire body, including scalp and the skin areas. Proper massage also enhances the lustre of the skin, and a regular body massage or head or scalp massage increases the elasticity of the skin. Proper pressure points and application of pressure in those points are extremely beneficial for the people who opt for professional massage. Proper head and scalp massage enhances hair growth, and this is especially beneficial for those people who suffer from itchy scalp and acute skin infections. Kneading during the scalp massage enhances blood circulation and benefits hair growth. Rhythmic pressure at specific points gives more benefit to people who suffer from oily scalp and also regular bouts of stress and depression. What are the top 6 benefits of having a proper head massage? A proper head massage with the right amount of essential oils enhances the level of blood circulation in the veins and it also enhances hair growth on the scalp. If somebody suffers from an itchy scalp, or scalp related problems, then a weekly head massage can be of the best benefit. Proper head massage removes toxins that have accumulated on the upper surface of the scalp. As a result of this, the dormant hair follicles are enlarged with new possibilities for hair growth. Proper use of oils such as jojoba, almond, coconut and olive enhance the proper balance of oil on the scalp. Proper head massage with finger circulation on the scalp induces good sleep and also help to avoid flaky scalp and onslaughts of dandruff. Proper head massage is integral for the overall head, neck and shoulder strength. It enhances lustre and shine to your hair and induces generation of new hair follicles. Regular head massage can also induce good sleep in people who suffers from insomnia. The best head massage should concentrate equally on all the portions of the head, and you can use cold pressed oils to massage your head and then wash off the excess oil with a mild shampoo. Massage and physiotherapy uses pressure points at different areas of the body to enable people get rid of body aches or pains. Proper massage uses pressure to increase proper lymphatic and vein blood flow into the heart. It is used to stretch muscle fibres and to strengthen the bones and the tissues of the body. All the body part positions should be guided by an expert masseur when any type of physiotherapy or massage is carried on. There should not be excess pressure on the shoulders, hand and on the foot. Palm, palm surfaces and other sensory areas should be dealt with very carefully to enhance the best blood flow inside the body. What are the aims of a successful massage? Introducing the exact massage touch to the clients. To stimulate the sensory and the peripheral nerves. Decrease fine lines and wrinkles all around the body and also reduces the level of stretch marks. Lighter brisk massage movements and higher versions of massage movements are now used largely for therapeutic purposes. It is important to consult with a certified massage expert in this direction. Massage decreases tension and also keeps the hormonal levels in balance.